Monmouth Airport has available in-hanger parking for all sizes of corporate jet aircrafts. If you’re looking for a hanger for your extra-large jet or super lean aircraft, know that we’ve got available in-hanger parking for you. Getting in and around New York City can be frustrating via public transport or a car, but it’s even more frustrating when you can’t even get on or off the ground due to airport delays common to greater NYC airports. At Teterboro wait times can up to an hour to get a takeoff slot and landing pattterns are often diverted for significant time as well. Monmouth Airport is an easy Expressway commute to Manhattan and is conveniently located a few miles outside of New York area “Class B” airspace and 1 mile outside of “Mode C”, making for effortless arrivals and departures. Renting a hanger for a corporate jet aircraft can be expensive, which is why Monmouth Executive Airport is focusing on giving clients an affordable solution. Our in-hanger parking rates are 30% to 40% less than Teterboro or Morristown, making our airport space the economical option. We also know that New York City is the city that never sleeps. Our 24/7 operations commenced in December 2013 and we have been up-and-running, full-time ever since. We have competitively priced Jet A and Avgas available on-field to keep you on the move when you need it, where you need it. We also have a unique covered fueling canopy to keep you as well as your passengers safe from the elements. Monmouth Airport’s new ownership and management team go the extra mile to accommodate all of our clients’ airport needs. Whether you need information, help setting up your office or gas, we can take care of the problem for you. To learn more about our available in-hanger parking, contact Monmouth Executive Airport today. Latest news: Will Boeing manage to figure out how to make jet fuel from tobacco? At the beginning of August, Boeing Co. announced they were teaming up with Dutch aviation biofuels company SkyNRG and South African Airways to make jet fuel from tobacco. The plan is to have farmers in South Africa grow SkyNRG’s tobacco plant (called Solaris), which is a biofuel feedstock typically used by the tobacco industry. Solaris is virtually free of nicotine, which is normally found in other types of tobacco plants. 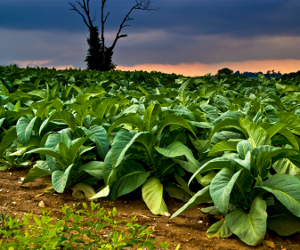 South African Airways Group environmental affairs specialist, Ian Cruickshank, says a marketable biofuel crop can be grown while simultaneously leveraging knowledge of tobacco growers (and thanks to this hybrid tobacco, it won’t encourage smoking). While jet fuel from tobacco – as well as other eco-friendly alternative jet fuels – is an interesting prospect, this still has a way to go before becoming a reality. Test farming is currently underway and biofuel production is only set for production in the next few years. Fuel from aircraft contributes to greenhouse gas emissions, which are bad for the environment. Sustainable alternative jet fuels could help reduce carbon emissions, impact surface air quality and help combat climate change. 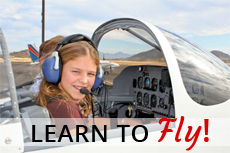 See our blog post on this FAA initiative to get rid of leaded AVGas. If you’re currently operating a corporate aircraft or jet in and around New York City, you are probably more concerned about things that affect your day-to-day operations, such as ease of access to the city, cost-effective in-hanger parking and affordable jet gas. The Federal Aviation Administration is currently working on enabling US use of one billion gallons per year of sustainable alternative jet fuels by 2018. At Monmouth Executive Airport, we have competitively priced Jet A and Avgas available on site as well as available jet hangar parking for all sizes of corporate jet aircrafts (at rates that are 30% to 40% cheaper than our competitors). In late 2013 the Airport was purchased from longtime owner Ed Brown, by a consortium of aviation enthusiasts know as the Wall Aviation Group. This team of experienced airport managers and aviators brings with them a burning desire to turn our sleepy little airport into a modern jet center that rivals the amenities of other more crowded local NJ airports like Teterboro and Morristown. Already the airport has gone to 24/7 operation and dealt with many years of neglect by streamlining operations and adding features for enhanced security and safety at the airport. Its true that some have seen the changes at the airport as a departure from our quaint, informal history but we see it as an opportunity to make the airport into a viable economic presence in central jersey to the great benefit of the entire surrounding area, especially the Jersey Shore. A revitalized Monmouth Airport could become a hub for travel, encouraging businesses both on and off the airport to move to the area and participate in the local economy. We are working hard to strike a balance between the need to create sustainable economics at the airport, and the rich, informal history of the Monmouth with pilots and the surrounding community. It will take time, but we are confident that bit by bit we will get where we want to be. 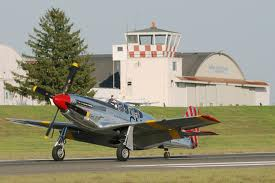 In the meantime opportunities for those with a little vision abound, and we highly encourage pilots and part 135 operators to take another look at Monmouth Executive Airport. – Ruthie Stoaks, FBO Manager.